It is December in Seabeck Washington. While our winters are very moderate compared to much of the country we do get snow from time to time. We just had two days of snow and our neck of the woods had over 10 inches. The days now are upper 30s and might get into the mid 40s this next week, the nights are in the lower 30s….in any case the snow will not last long. A friend asked me today about the bees. What do they do when it snows? Do they hibernate? This is the 6 million dollar discussion. How do you get the bees through the winter. This is the crux of what so many beekeepers struggle with each year. It is not unusual to have a 30 to 50% loss each year. The bees do not hibernate. I consider hibernation like a sleep state. Bees remain active throughout the winter. They generate heat with the same muscles they use to fly. They flex or pump their mucsels in such a way that they maintain a core temperature of about 89 to 97 degrees F.
During warm weather bees come and go from the hive. Collecting and returning with pollen, nectar water or sap. They also leave for cleansing flights as they do not defecate in their hive. At about 64 degrees F the bees begin to cluster, that is collect closely together to preserve heat. There are two basic parts of the cluster; the core which uses its muscles to create the heat and the outer layer that acts as insulation for the core. As temperatures drop the cluster tightens. The bees rotate from the inner part of the cluster to the outer, taking turns generating the heat. The energy they use is fueled by the honey they eat or the sugar the beekeeper has given them if they do not have sufficient honey stored. The queen slows down egg laying and stops all together for a short time all to preserve energy and make it through the winter. Some think that the winter solstice is what keys the queen to begin to slowly build up the brood again. Beekeepers in areas with harsher winters may actually wrap their hives to better insulate them, making it easier on the bees. 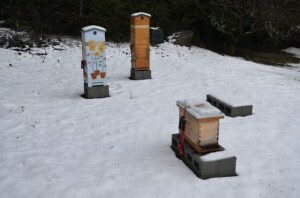 The typical advice when it snows is to leave the snow on the top of the hives, it acts as an insulator. My goal now is to just check them on warmer days and ensure they have plenty of sugar….and hope I don’t suffer the 30 to 50% loss that others have. Thank you Lee for this great question. Here we are, late fall staring down the barrel of winter. The rains are driving and the winds are blowing. Our hives are all tucked in, tied down and sugared up. Other than doing a quick visual inspection on the next warmish sunny day and maybe replenish the sugar, we have done all we can do to get the bees through this winter. 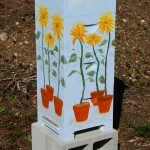 We spent the early spring setting up the hives and feeding our bees, the late spring and summer building up our hives. We spent our weekends counting sticky boards, adding supers, estimating brood, cutting out drone comb and watching for signs of a swarm. We’ve tried to systemize our inspections, take copious notes and all the while staying observant. On the lookout for robbing, pests, varmints and disease. All our efforts for the bees. A singular focus to help them stay healthy and grow strong. Now it is our season. The time for us to feed our brains with new information for the next bee season. Time to read the books we heard about but haven’t had time to open. Time for chores, record review and plans for the new season. Time to renew our subscriptions to American Bee Journal or Bee Culture magazines. This is a great opportunity to fix any of your boxes that are in need of repair and build your list of tools and equipment you will need for next year. I know the internet is working overtime to eliminate everything printed…but there is nothing better than snuggling up on a cold winter day, a hot fire, drink of choice and a nice stack of bee magazines, product catalogs and bee books. Here is to a nice long winter….the season of the beekeeper. Honeybees with mad cow disease? No, these honeybees do not have mad cow disease….they are doing what is known as a waggle dance. Bees use the waggle dance to communicate the location of food or lodging to her colony mates. As they circle you will see them waggle in a specific direction. The top of the circle, or 12 o’clock, is the location of the sun. So if they are waggling to the left of 12 o’clock the direction they are communicating is to the left of the sun. If they are waggling say at 2 o’clock then she is telling her nest mates that there is food at about a 45 degree angle to the right of the current position of the sun. The length and veracity of the dance communicate the quality of the food source as well as the distance to the food. Waggle dances are also used to communicate the new location of a nesting site when a colony swarms. If you took the time, and had the inclination to snuggle up to a swarm you would be able to watch as several bees fly back to the swarm and begin doing different waggle dances as they try to win over their sisters as to which location is best suited for the swarm. They have already made a recon flight, found what seems to be a good location based on factors like, entrance size and size of the cavity, made their way back to the swarm and begun telegraphing this information to the others in the swarm through the dance. You would also be able to watch other bees take note of the dance and fly out to look at the proposed location for themselves. As time goes by more and more of the bees become convinced that one of the locations is better than the rest, at which point the swarm moves as a whole, protecting the queen as they move to their new digs. Honeybee Democracy by Dr. Thomas D. Seeley makes for a great read on this whole fascinating topic. Bees need a balanced diet too. CCD or Colony Collapse Disorder seems to be a title that man has put on a multifaceted problem. Of course this fits nicely with our overall need to seek “the one thing”. The one pill that will make us thin, the one idea that will make us rich, the one secret to living a fulfilled life, the one exercise that will melt away love handles. The more reading I do and the more people I talk with leads me to believe that CCD is not one ailment but rather a series of deficiencies that lead up to the demise of what was thought to be a healthy bee colony. Though I’m not a scientist, nor do I have a laboratory in my basement…that would be cool though, I can sift through lots of data that others have collected and make sense of it. See the logic (at least my logic) and draw some conclusions. While reading this last issue of American Bee Journal I came across an article that made sense to me. The article by Peter Loring Borst speaks to a bees diet and covers a lot of great information about pollen and its food value. But one part jumped out at me specifically. Two groups of bees were analyzed. One that was on a monofloral diet (one crop of plants, one primary source of pollen like huge fields of soy, or large groves of almonds) and bees who were eating a polyfloral diet (variety of plants around the hive, no one predominant pollen source). Both diets produced what the bees needed to be healthy and active in this life cycle….however bees that were on the monofloyral or restricted diet produced a smaller amount of an enzyme called glucose oxidase (GOX). Glucose oxidase is an enzyme that converts sucrose into an antiseptic that we are all familiar with called hydrogen peroxide. The hydrogen peroxide is used by the bees in honey and larval food production to help reduce the growth of bacteria and pathogens. So, while the bees on a monofloral diet that are currently flying might be healthy, the next generation of bees may well have a weakened immune system due to being fed food with higher levels of bacteria. The bees on the polyfloral, or balanced diet, on the other hand, produced greater levels of GOX, which would provide for food with lower levels of bacteria or pathogens thus producing new offspring with normal immune systems. While there are many other factors out there that lead to the loss of a colony; weather, pesticides, pests, starvation and the beekeeper, providing a balanced source of pollen and nectar for your bees will give them the strength to deal with all the other threats against them. Those of us that are into back yard beehives may well have the best chance of providing for a balanced diet for our bees. Just look around your neighborhood and I’m sure you will see lots of variety. Getting started in beekeeping, the season is upon us. From a new beekeepers prospective spring is fast approaching and I can’t get my bees fast enough. I know that those who have bees are still trying to get them through the balance of this winter. Feb, March and April can be like miles 23, 24 & 25 of a 26 mile marathon….almost there but it can all crash with the slightest oversite. Beekeeping classes start in a couple of weeks through Westsound Beekeepers Association. 8)Christmas was good to me for tools; bee smoker, beehive tool, beekeeping suit, bee friendly flower seeds. 9) Placed my order for two bee packages, one Italian and one Carniolan, should arrive first two weeks of April. So, all in all I’m the new guy who thinks I’m ready to start keeping bees, I’ve gone through my check list, checked it twice….class starts in two weeks and I don’t know what I don’t know…….all part of the adventure. I’ve heard that bees’ wings are proportionally way too small to be able to fly. Studying the aviation field and looking at pictures of bees, it seems plausible that their wings are too small to support them in flight. Yet they fly. Do bees’ wings meet the lift/drag ratio needed for flight, and if not, how do they fly? Graeme Shimmin, Bsc. Applied Physics and Electronics…. Short answer: Bees use different phenomena to fly than a plane does – translational, rotational, acceleration-reaction, and wing-wake interaction forces produced by the flapping of their wings. remains attached to the wing throughout a relatively slow, long stroke, bees do not follow this model. The secret of bees ability to fly is a combination of short, choppy wing strokes, a rapid rotation of the wing as it reverses direction, and a very fast wing-beat frequency (230 beats per second). The top red/blue lines show the wings going up and down, the middle lines show the angle of attack of the wings (basically vertical on the way up, and horizontal on the way down) This movement creates lift (the black line) greater than drag (green line) almost all the way through the stroke. This is very different to other insects where the lift is predominately translational at mid-stroke. This gives us the reason other insects seem to be ‘theoretically’ able to fly whilst the bee can’t. The other insects lift mechanism is better approximated by the aerodynamics of an unmoving wing. dominate, Additional vortices are produced by the rotation of the wing. It’s like a propeller, where the blade is rotating too. Also, the wing flaps back into its own wake, which leads to higher forces than flapping in still air. Lastly, there is another peculiar force known as “added-mass force” which peaks at the ends of each stroke and is related to acceleration as the wings’ direction changes. The amount of information available about; bees, hive systems, honey, pest and disease control is amazing. Thanks to technology, discussions can be had with beeks all over the world. I’ve read several books, started reading an array of magazines, reviewed many blogs and bee websites and read posts on a couple of forums. The fun thing about a new hobby like this is you learn about stuff that you did not even know existed…..like, did you know there is a huge black market in honey? Honey laundering…..wow, but that is another complete topic. The warrebeekeeping group is comprised of beekeepers from all over the world. It is a great learning advantage just to read the various posts. Many of the topics are over my head but a lot of it deals with everyday hive management. Based the the reading that I’ve done and my basic philosophy of letting nature take its own course has me leaning toward starting out with two Warre hives. 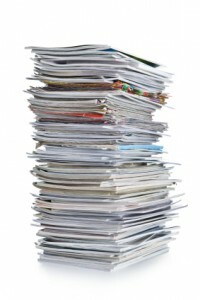 I’ve looked at two websites seriously; http://www.beethinking.com and http://www.thewarrestore.com. Both seem to have quality built warre hives. 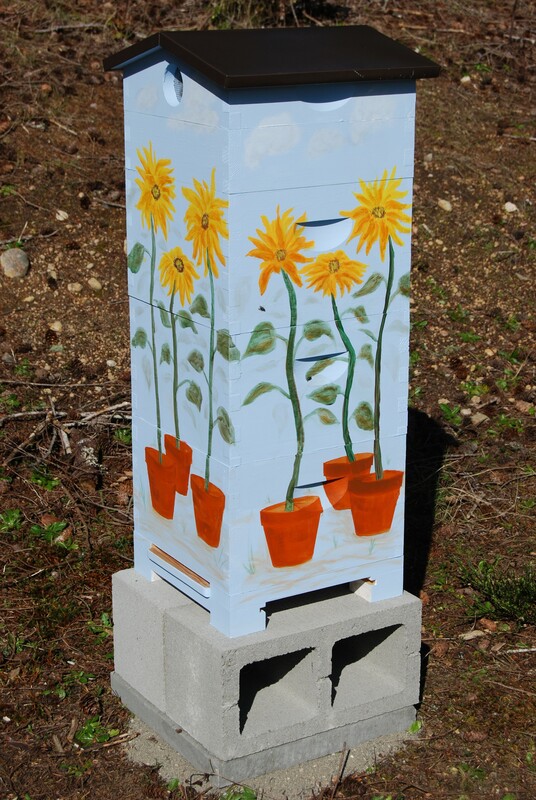 I was leaning toward beethinking as they are located in Portland until I came across a local who is building warre hives. I hope to visit with him in the next week or so and I’ll post the particulars.